Amazon has a new 20% off Garden of Eatin coupon! 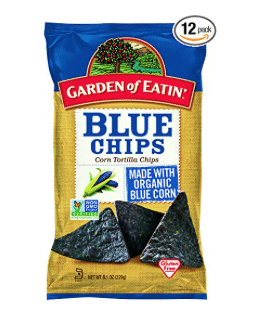 If you miss Doritos and chips since going organic, Garden of Eatin offers organic nacho cheese chips and organic ranch chips along with several other flavors of tortilla chips and taco shells. Choose from 10 products to use this coupon. As low as $19.03 after coupon and 15% S&S, so just $1.59 a bag! This is the best price for these non gmo tortilla chips made with organic corn!